 In the Math 24 card game, players practice basic mathematics facts.  Suitable for grades 3 to 5. 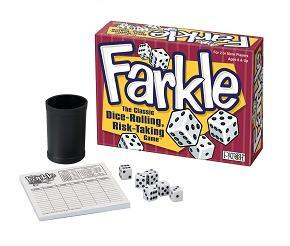  Fun card game that even adults can enjoy. The Math 24 card game is a fun game that helps kids practice basic mathematic facts and mental math.The objective of the game is to come up with the number 24 (hence the name "Math 24"). Players have to use four integers (number 1 up to number 9) and addition, subtraction, multiplication and even division in order to achieve this objective. Cards containing four integers are distributed at the beginning of the game. Players have to come up with a way to reach the number 24 using addition, subtraction, multiplication or division. The player that manages to find the number 24 the most times wins the game. This game contains 48 double-sided cards with single digit numbers. The colored dots on the card indicate the varying degrees of difficulty. For example, 1 dot indicates an easy level, 2 dots indicate a medium difficulty level, and 3 dots indicate a very difficult level. Math 24 is educational as it helps kids practice mental arithmetic. "Mental" because no pen or paper are allowed. The game has even been used in the classroom by school teachers in order to help their students practice basic math. By the way, Math 24 is suitable for students in grades 3, 4, and 5. 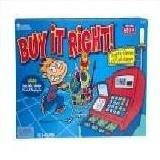 The game has received a lot of positive reviews from both parents and teachers. Actually many parents have been surprised to see their kids math score improve. 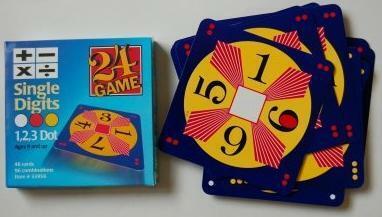 The original Math 24 game (containing double digits). The one presented here is the simplest and easiest game. The Math 24 Fractions and Decimals. The Math 24 Algebra / Exponents (with 96 cards) for more advanced players. Math 24 is also a great travel game and it is a game that adults can also enjoy.